This afternoon I’ll be performing at the Pre-Launch Party for The World Bank “Doing Business” 2009 Opening in SecondLife(tm). stuff and an eclectic mix in between. On Tuesday, Oct 28th I’ll be participating in the Orange Island Music Festival along with 5 other acts. What sets this apart from other virtual Music Festivals is Orange Islands’ innovative way of presenting the artists. Each artist is “sponsored” by a venue which will be represented at the Orange Island venue. As each sponsored act takes their place on stage, the entire venue will transform into a replica of the venue sponsoring them. For example, Frogg and Jaycatt are sponsored by Luskwood and the Orange Island venue will transform into a replica of the Furry Community Luskwood. Kinda neato, eh? 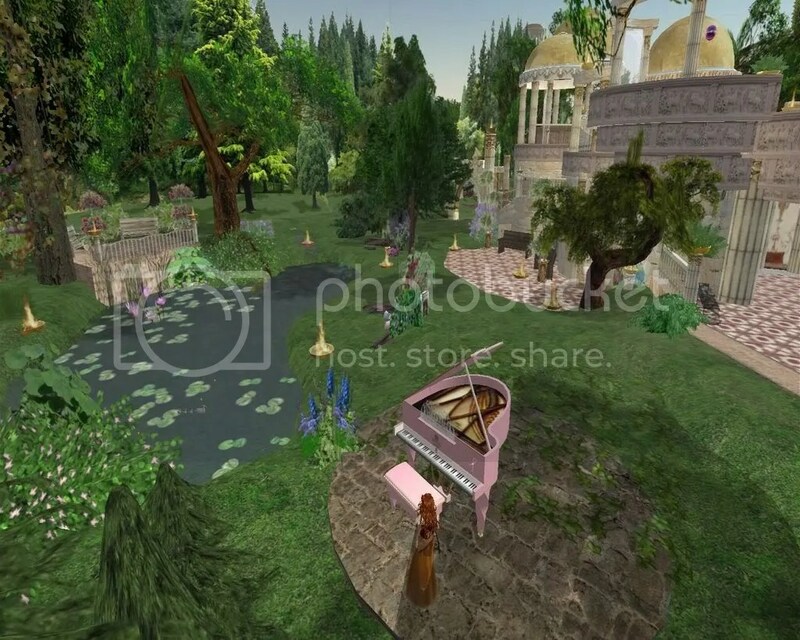 Contact Jade Lily inworld for more information. I released this album back in March when I went to San Francisco to perform with Keiko Takamura and Melanie Keller at The Rock-It Room. At the time I only printed 100 copies. Since then I have only 1 remaining physical copy left. Which I have up for a silent auction on MySpace. (I am in desperate need of a laptop that isn’t falling apart. *sighs* My music isn’t valued THAT high….yet…here’s hopin’…but I’m saving my pennies as I can). At any rate…I just found out today that Cylindrian: Virtually Live is NOW available for download on iTunes and Amazon through this Songcast link below. If you’d like to get the downloadable version, please stop by. Its there waiting for you. It contains some previously unreleased songs and all were recorded LIVE during SecondLife(tm) shows. ENJOY!!!! wheeeeeee!!! You never know what kind of response a simple little comment made during a show will illicit. Crap Mariner is by far one of the most creative avatars I’ve met on my journey through Second Life. Wednesday night at Blue Fusion, I was performing my original song, Phoenix Rising. which is based on my own experience with stage fright, insecurity, and depression that kept me from performing music in public for over 10 years. It was not until the passion for music consumed those things that kept me from doing what I longed to do…which is what I am making happen now. I still fight that battle…but I won’t let it keep me from pressing on. There’s one section of the song, in my head, I hear carnival sounds or a hurdy gurdy-esque instrument playing…I happened to mention it during one of my broadcasts in Second Life(tm) and sure enough…Crap Mariner changed his robot avatar into a Monkey. You never know what kind of response you’ll get from a simple comment during a show…LOVE IT!! Stop by his blog to SEE the pic!! FUNNY stuff right thar! Welcome to the newly redesigned Conservatory on Isle of Ballymore. We are a cultural and performing arts venue. Please visit anytime and look around. If you would like to be notified of upcoming events, please join Friends Of The Conservatory by touching the Welcome Sign to the right. Celestial Pond, a beautiful and relaxing spot. Please set your viewer to Midnight and turn on the music for an etheral moment or moments. The Conservatory, the upper level is for performing musical arts and dancing. Most all of our events are charity for The American Cancer Society and The Association For International Cancer Research. The lower level is for meetings and relaxing. Art Garden, On display is work by some of SL’s finest artists. Feel free to purchase works that you appreciate. We are in the process of building a world-class open-air theatre for ballet and plays. All of our events are free and we never charge a fee for use of our facilities. If you are interested in using the Conservatory for your cultural event or group, please contact Helene Sautereau, Events Manager. PRIZES GIVEN AWAY AT THE SHOW visit the Kelly Services Website for trivia answers! Kelly Services is a global company. Their virtual headquarters functions as the premier connection within Second Life for job placement and career development, serving the community with public seminars, conferences, job fairs, interviews, training, and more. The Kelly Services Island offers interactive in-world scenerios for high-end interactive Job Scenes. Wonder what it’s like to work for Kelly? The island provides unique, in-world scenarios where avatars can work in virtual jobs that showcase some of Kelly’s real-life career opportunities. Each scene has four boxes of wonderful items (like clothes) to collect, so feel free to stop on by. Please join us @ BLUE FUSION for this great concert series TONIGHT AUGUST 6th 6pmSLT. Kelly Services understands the value of social networking in Second Life. Their support of the Second Life Artists and the in world live performances help to foster that model. Please thank the Kelly Services company for supporting our cherished artists! Jamm for Genes at The Pocket! What is Jamm for Genes? facility, the Children's Medical Research Institute. Australia will raise money for this great cause. Fiday 1st August SL time. Fire-Particle-dancing beautifully choreographed by The Trinity Sisters set to the musical soundtrack provided live by Cylindrian Rutabaga (Atlanta Songwriter, Grace Buford). Follow the SLurl posted above to get to the stage area.